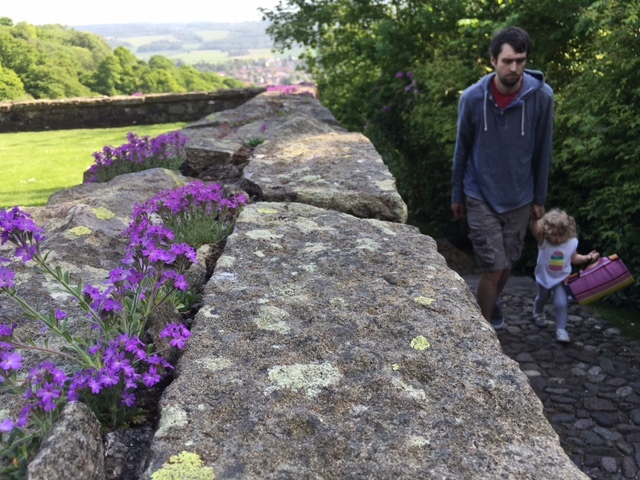 We have a National Trust family membership and I’m always looking for different places to try. 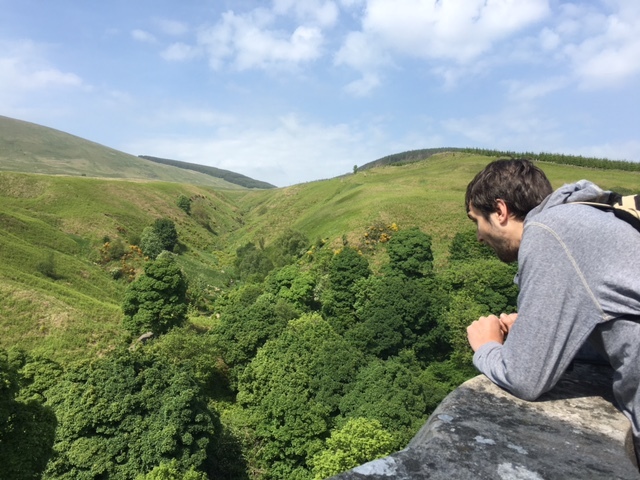 During the summer, when we wanted to get out and explore a bit, we looked up the NTS website and chose somewhere to go that we’d never been before. Dollar Glen, and Castle Campbell at the top of the Glen, was one such place, picked from a map without really knowing what it’d be like. 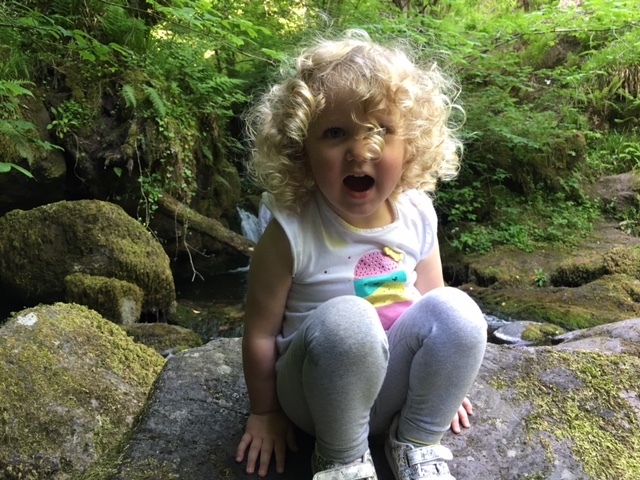 She even climbed across her first log bridge over a river (with daddy’s help of course, she’s not quite a circus act yet despite all the gymnastics) which delighted both of them. The walk took us about an hour with lots of stops to check things out en route. The little lady managed it without much problem. Though she did need a shouldery on the way back down. 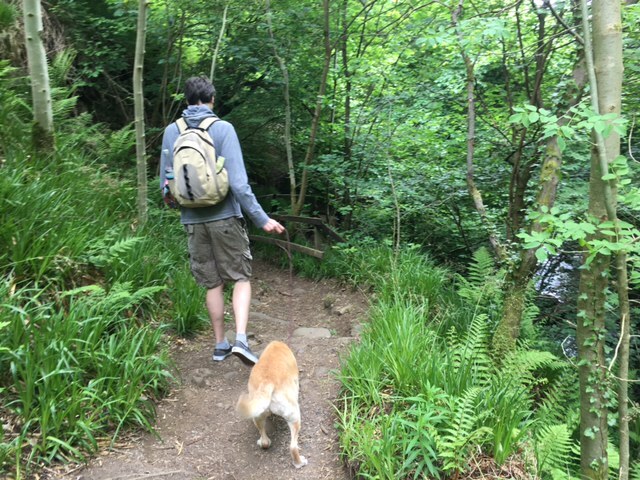 The path through the glen is quite a steep climb at some points but we managed it when I was about 7 months pregnant with a blind labrador and an almost 3 year old so it’s definitely not that bad. It’s not suitable for prams or buggies, though if you can’t put your little one in a carrier of some sort you could walk up the paved road instead of through the gorge. The only word of warning I’d give is that there are some parts of the walk where there are drops to one side down to the little river. Most of those bits have railings but I still found it a bit difficult to unclench at some points. Castle Campbell is incredibly picturesque. Everything about the castle is beautiful. The cobble courtyard, the towers, and that garden! 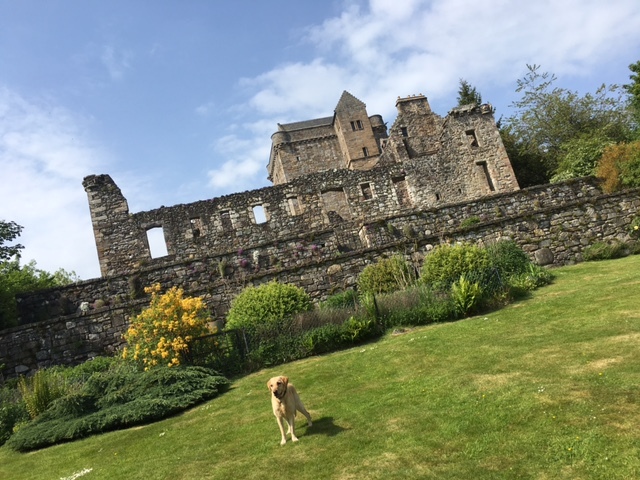 The castle isn’t massive and there aren’t any rooms with playthings or jigsaws like some of the other NTS or Historic Scotland places we’ve visited. 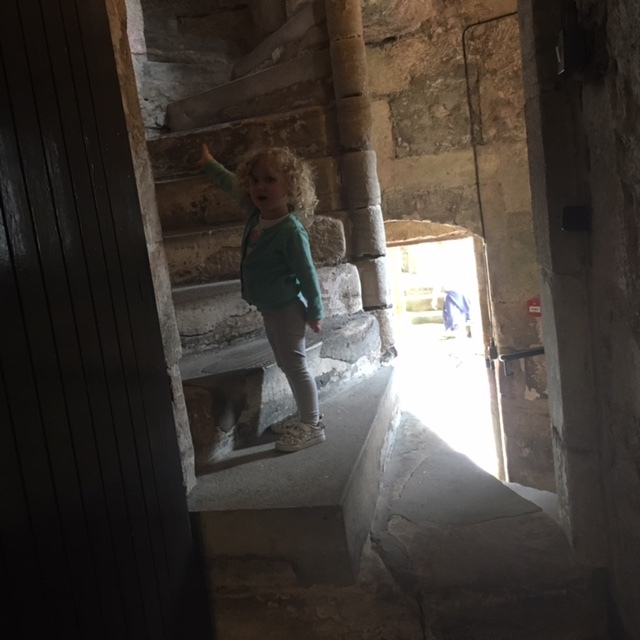 But the little lady had a great time stomping around the castle and pretending she was a queen. There are lots of rooms to find and lots of stairs to climb. Plenty to explore! We sat in the garden for a while afterwards. Well, I in my pregnant state sat in the garden whilst the little lady and her daddy played hide & seek. The garden was incredibly tranquil (before she came out of the castle into it). It was in full bloom when we were there and it was exceptionally pretty. Their game of hide & seek probably ruined the vibe somewhat for the few other folk in the garden but the little lady had a great time. 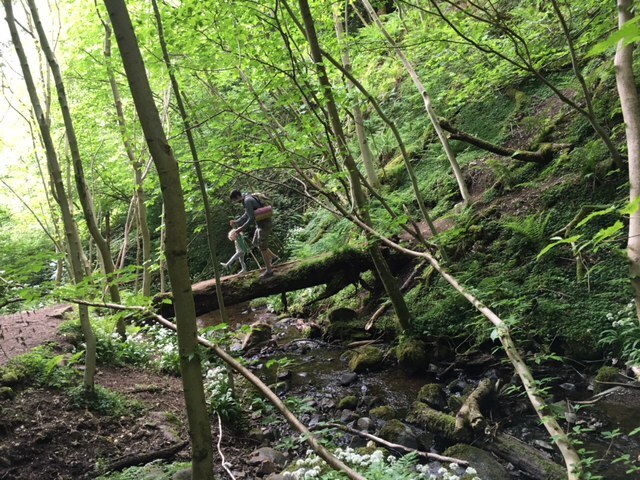 It took us just less than hour to get to Dollar Glen from our house in Glasgow. Parking is available in a little car park on your right as you start up the hill, and you can start the walk up the gorge from just across the road. I think that there was a very limited number of disabled parking spaces up nearer the castle too. There is no cafe. 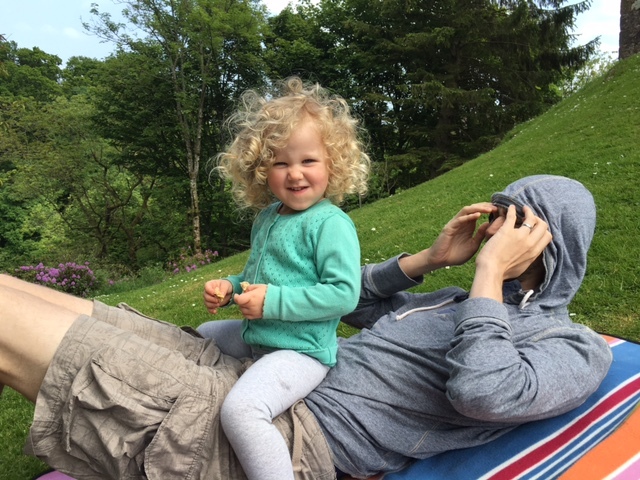 We took a picnic and blanket in a rucksack and had that just before we went into the castle. Entry is free if you have a Historic Scotland or NTS membership. If not, entry to the castle is £6 for adults and £3.60 for kids. Under 5’s go free. 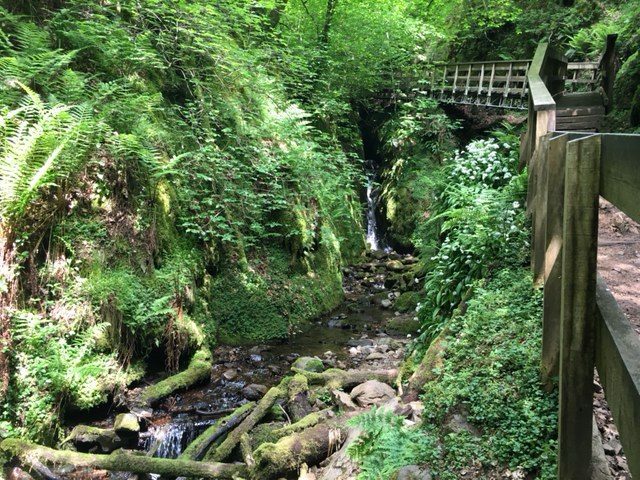 Dollar Glen is a great place for a day trip if you’re looking to do something laid back and outdoors. 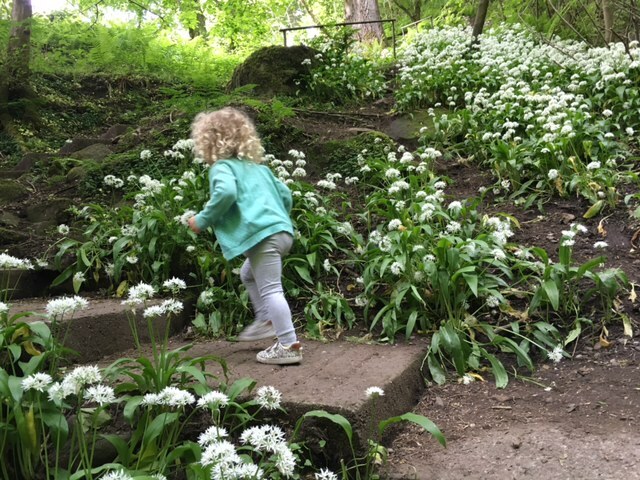 The walk up the gorge through Dollar Glen is a reasonable walk for a young kid, but with lots to examine on the way up they’ll hardly notice that it’s hard work! And who doesn’t like a castle to explore? 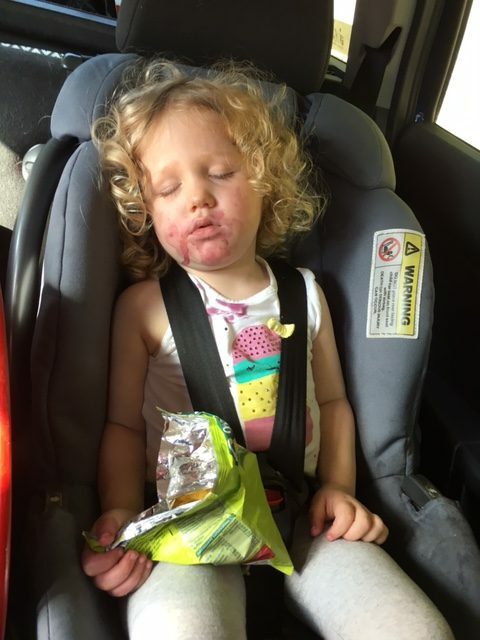 The little lady was exhausted by the time we started home and less than 2 minutes into the journey she was fast asleep. Dollar Glen & Castle Campbell are located in Dollar, near Alloa, in Clackmannanshire.